Editor’s Note: ViaNolaVie, Krewe Magazine, and Bard Early College New Orleans partnered together in an effort to bring voices of the youth into the journalistic realm. 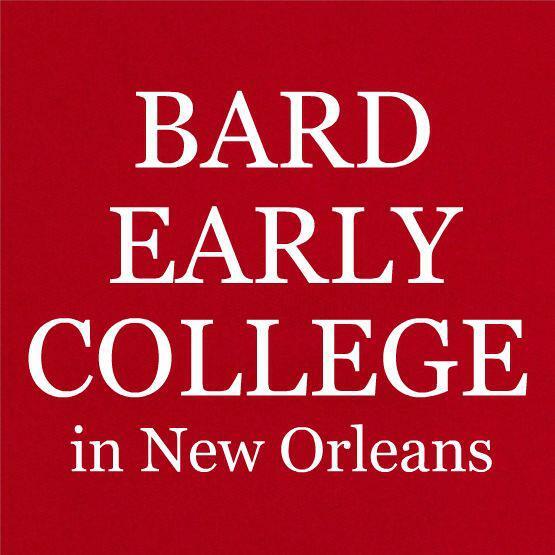 Under the guidance of professors Kelley Crawford (Bard Early College) and Michael Luke (Tulane University), a composition course was manifested where students wrote non-fiction, New Orleans-based pieces, resulting in a printed publication (Krewe magazine) designed and published by Southern Letter Press. We will be publishing each student’s piece that was chosen for the magazine. As the school doors unlock, KIPP Renaissance students are immediately greeted with a prison-like atmosphere, grueling security guards and multiple metal detectors. Public Schools perpetuate a prison-like system and create a disconnect between the rapport of teachers, students, and the community. As the students are forced to take off multiple layers of clothing, they watch as their belongings are probed. Is this what school should look like for the children of America, especially since this is the scene most common for African-American children? In the book Prison Industrial Complex James Peterson states, “What I found would not surprise any activist engaged in the battle to reform or revolutionize the American prison system…There is no feeling quite like entering a prison, being searched, going through metal detectors, and having a series of doors shut and locked behind you.” Like prisoners, students are put through the same system–one deeply rooted in the replication of the penal system. There needs to be a reiteration of that fact that the youths are not prisoners, or terrorists. They are students. Students go to school to learn and an academic environment has failed if it requires an oppressive system as this–a system of deterrence. Why should the entire body of students go through this? Are the faculty and staff put through metal detectors and searches? No! Then who is this really protecting? Underlying these searches and metal detectors for students, there must be an assumption that black kids are a danger to themselves, and it creates for a hateful environment. Joe’Nee Smith, a KIPP Renaissance student states “I hate coming in the school, and the process to getting my education takes way too long–I could’ve been in class learning.” No child should feel as though their safety is in jeopardy while they are trying to get an education, and making students feel like they are the problem only perpetuates the problem. There are other ways to increase the rapport between the teachers, students, and community. For example, teachers who are invested in a student’s education beyond school– having interactions between the students and parents–builds trust and a positive environment. Without that bond between the teachers and students, the teachers have failed to properly educate the student, and I specifically mean black students. The student should be able to fully trust their teacher so they can confide in them and turn to them when they need help. 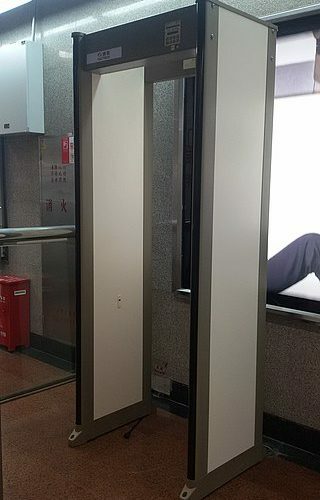 If metal detectors are supposedly the replacement for a protector, why isn’t this protector at a private school? Take for instance that fact that KIPP Renaissance HIgh School, a predominantly African American student body, has metal detectors, but Benjamin Franklin or Holy Cross, which have more white students in their schools, do not. Some may even argue that the location of the schools determine if students need extra protection, but the message stays the same: We need protection from ourselves. Black students are being taught to fear themselves. Rather than blaming students for behavior that is paraded in front of them as the inevitable, we must first expose the fact that we forcing this oppressive system on black youth–whose future is dangling on getting a decent education. By shrouding students in worries, threats of dangers, and mechanisms of distrust, schools no longer are safe learning environments. They are penal systems put into place to ensure black students never forget how dangerous they are, even to themselves. That’s not the kind of education we want.